﻿ Cristiano Ronaldo: "I was worried because of my injury but I felt great!" 24.04.2014 » Ronaldo: "I was worried because of my injury but I felt great!" Cristiano Ronaldo returned to Real Madrid's line-up last night against Bayern Munich and according to the Portuguese player, there is no reason to fear any injury relapse, despite the many concerns about his true physical condition at this stage of the season. Real Madrid pulled off a 1-0 victory over Bayern Munich and Ronaldo now hopes to help sealing the deal next week in the second leg in Germany. Cristiano Ronaldo: "We knew it was going to be a difficult game and a very tough challenge against the current European champions, but things fortunately went our way and we managed to pull off the win with a narrow advantage. Now let's see what it happens next Tuesday in Germany...", stated the 29-year old forward in his post-match statements. The Bayern Munich vs Real Madrid second leg will go down next Tuesday and if nothing goes wrong, there shouldn't be any reasons to not to expect that Cristiano Ronaldo may play again right from the start. According to the former Manchester United winger, the injury wasn't aggravated this past Wednesday and he's feeling better each day. Ronaldo: "I didn't risk, I'm not silly", started by pointing out the Real Madrid forward, when asked if he had taken any risks of worsening his injury by deciding to force and play against Bayern Munich. CR7: "I felt good and I trained without any problem in the days before the game. I was obviously with a bit of fear heading into this match, which is perfectly normal with these sort of muscular injuries. Moreover, it's also true that a few people didn't give me the confidence I needed to play in this game..."
Cristiano Ronaldo: "I myself had a few doubts in the beginning of the game, but as soon as the game started I felt perfect. I was a bit worried with a few particular things like doing sprints, but fortunately I didn't feel any pain and I'm great now. The injuries were healed and overcome already..."
One of the best players of this Wednesday's Real Madrid vs Bayern Munich clash was Fábio Coentrão. The former Benfica left-back has been in the crosshairs of many critics since he arrived at Chamartín in 2011, but he has been proving over and over that José Mourinho knew what he was doing when he decided to bring him in to the squad. Ronaldo: "These great games from Coentrão don't surprise me at all... I know him well and I know that when people trust in him, he can be one of the best left-backs in the World, just like Marcelo. In my opinion, there isn't any left full-back out there in this sport better than those two..."
Cristiano Ronaldo: "I will always have the last word when it comes to decide if I can play or not. If I feel good, people just have to listen to what I'm telling them. I know my body better than anyone else and even though they have their own opinion, I also have mine and that's what counts at the end of the day", commented the Portuguese star, suggesting that someone inside the club might have advised him not to play against Bayern Munich this past Wednesday. Ronaldo: "At this stage, I'm only thinking about winning the Champions League. The records were already set and I don't feel like I still have to prove anything to anyone. We must focus for next Tuesday and try to come out of the Allianz Arena with a good result that may allow us to reach the final in Lisbon", concluded CR7, as he previewed a very difficult battle next week in the decisive Bayern Munchen vs Real Madrid second leg. 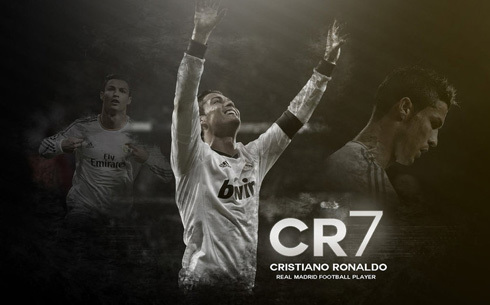 Cristiano Ronaldo next game for Real Madrid will be against Osasuna, for the Spanish League, on April 26, 2014. You can watch Juventus live stream, Real Madrid vs Osasuna, Villarreal vs Barcelona, Man Utd vs Norwich, and Southampton vs Everton, all matches provided from our soccer live section.